Those of us in the Northern Hemisphere have started to notice that it’s cold outside. We may have held out as long as we could but it’s time for coats, jackets, sweaters and the accessories. But even the cold is no excuse to not look your best. Acknowledge that it is winter time. Embrace it. This is a time when we as men have a little more flexibility in our wardrobe. Get into the spirit and use it, but stay away from these common mistakes that make you look unkempt. It’s cold outside - wear a coat. The days of trying to impress the ladies by showing them you don’t need to don a jacket in even the most frigid temps are gone. You’re all grown up now and grown men wear coats. 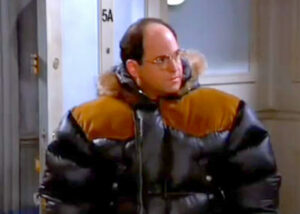 It doesn’t have to be big and uncomfortable, but when it’s really cold out you need to put something on. It’s not for the same reason mom used to tell you either. When a gentleman successfully dresses for the weather he is telling the world that he knows what’s going on around him - he thought ahead and is prepared. Women are attracted to that and so are bosses and potential clients. Make yourself look like a professional and get a coat. staring at you aren’t wishing they had your warm coat, they are wondering if you are aware of some polar vortex they aren’t. Find a warm coat but don’t overdo it. Dress for the occasion. The rule of the gentleman always applies and the fact that it’s cold outside doesn’t change it. You wouldn’t wear a dinner jacket to a picnic any more than you would wear shorts to a wedding. Pick the right look for the right occasion and if you don’t have it, get it. Having the wrong look for whatever venue means you start off behind the pack; plus it makes you feel inadequate. So when you’re piecing together your winter wardrobe, consider what scenes you’re going to encounter and make sure your outerwear matches. you show up to a formal event with a casual jacket because that’s all you had to keep warm. Take the time and think ahead to expand your wardrobe. Get winter gear that fits. It doesn’t matter what you’re wearing, who made it or how expensive it is, if it doesn’t fit right, it doesn’t look good. Last year’s coat that you pulled out of the closet may be a little big on your slimmer beach body from the summer past. Set it aside. Whatever “look” you’re going for you’ll need to find things that fit you. Have you ever looked at another guy in the Starbucks line who is dressed like you but just looks better? That's because he's wearing stuff that fits. You can see the difference and so can everyone else. Put in a little extra effort to find things that fit well. Take a friend with you that has a good eye and they’ll have you in tip top shape. 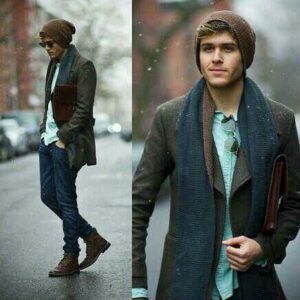 It doesn’t matter your look or style keep it together this winter and every winter with these tips. Trust me, the effort pays off. You’ll set yourself above all those who fail. Do yourself and the ladies a favor and don’t go out of the house unkempt, even in the winter.